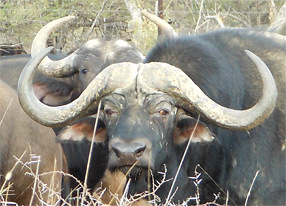 Soetveld Boerdery has acquired a top quality buffalo bull that measures in excess of 45 inches at age 6 years that was bred from East African and Kruger Park bloodlines. The next generation 45 inch plus buffalo bulls were recently acquired. 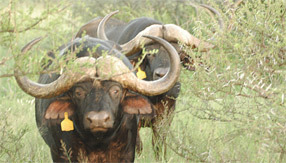 Two bulls at ages between 4 and 5 years are already measuring above 42 inches and 43 inches respectively.